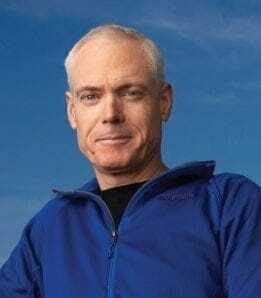 Jim Collins is a student and teacher of what makes great companies tick, and a Socratic advisor to leaders in the business and social sectors. Having invested more than a quarter century in rigorous research, he has authored or coauthored six books that have sold in total more than 10 million copies worldwide. They include Good to Great, the #1 bestseller, which examines why some companies make the leap to superior results, along with its companion work Good to Great and the Social Sectors; the enduring classic Built to Last, which explores how some leaders build companies that remain visionary for generations; How the Mighty Fall, which delves into how once-great companies can self-destruct; and Great by Choice, which is about thriving in chaos—why some do, and others don't. His most recent publication is Turning the Flywheel. It explores how leaders can best harness the flywheel effect to build and accelerate momentum. Driven by a relentless curiosity, Jim began his research and teaching career on the faculty at the Stanford Graduate School of Business, where he received the Distinguished Teaching Award in 1992. In 1995, he founded a management laboratory in Boulder, Colorado, where he conducts research and engages with CEOs and senior-leadership teams. In addition to his work in the business sector, Jim has a passion for learning and teaching in the social sectors, including education, healthcare, government, faith-based organizations, social ventures, and cause-driven nonprofits. In 2012 and 2013, he had the honor to serve a two-year appointment as the Class of 1951 Chair for the Study of Leadership at the United States Military Academy at West Point. Jim holds a bachelor's degree in mathematical sciences and an MBA from Stanford University, and honorary doctoral degrees from the University of Colorado and the Peter F. Drucker Graduate School of Management at Claremont Graduate University. In 2017, Forbes selected Jim as one of the 100 Greatest Living Business Minds.